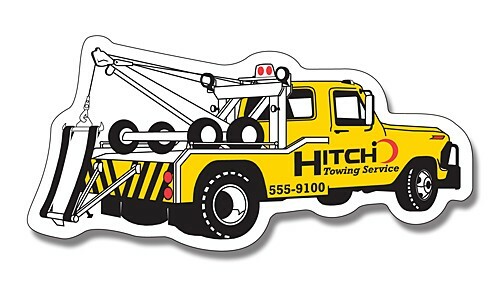 A 4.75 x 2.25 tow truck shaped full color magnet is outdoor safe and it can be utilized by tow truck owners to promote their business. 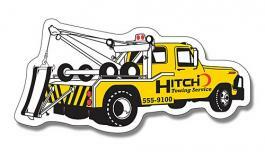 This magnet makes a costly, but impressive business gift in all seasons. Advertisers can ask their customers to showcase it across their vehicles for better viewing. It requires $0.68 - $0.15 for customizing this magnet. Advertisers ordering it in bulk can get it customized it at lowest customization fee and also enjoy discounts. Product Size : 4.75 in. x 2.25 in.